HomeArena of Valor (AoV)What is Arena of Valor? Arena of Valor (AoV) - What is Arena of Valor? Arena of Valor is a mobile MOBA, a popular game genre shared by titans League of Legends and Dota 2. But what is a MOBA? 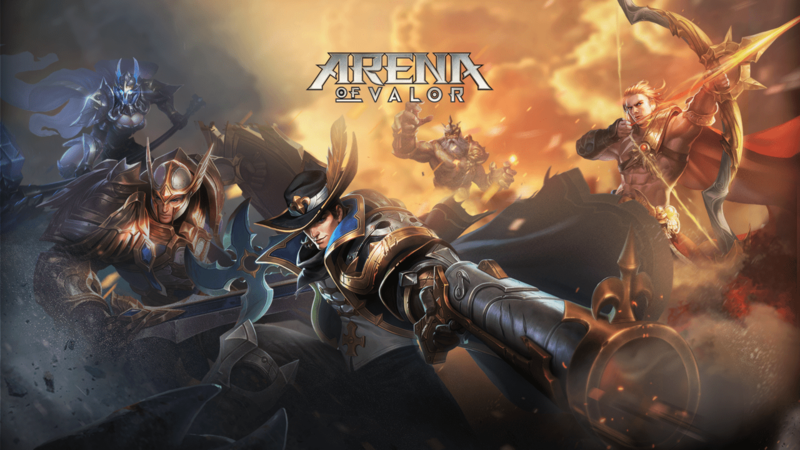 We unpack the genre and concepts involved along with some unique features of Arena of Valor. Check out the video version of this article! Arena of Valor is a Multiplayer Online Battle Arena or MOBA. Birthed from Starcraft and Warcraft 3 mods, the MOBA has become one of the world’s most popular game genres with titans like League of Legends and Dota 2 hosting multi-million dollar tournaments every year. Despite their popularity, these games have a notoriously high learning curve and can be incredibly intimidating to newcomers or those unfamiliar with similar games. To help get up the curve and used to Arena of Valor, let’s unpack the genre and examine its unique features. Normal attacks are the simplest way that heroes fight. This can be anything – a swing of a sword, a shot from a gun, or a blast of necrotic energy. Unless modified by an item or ability, normal attacks don’t do anything aside from chip away at the target’s health. Each hero has one passive ability: a unique effect that is always available to them. This can trigger in specific situations or be a constant boost to a character’s ability set, or ‘kit’. Players do not have to do anything to activate these abilities, though understanding them will give better insight into how to best use any hero. Standard abilities are the flashy spells and techniques each hero knows. These are the main way that heroes gets their flavor and are what separate each from one another. These can damage enemies, assist allies, or control the flow of the battlefield. Controlling effects are often referred to as crowd control, or CC, abilities. Unlike normal attacks, these cost resources like energy or mana and require a cooling down period before they can be used again. Mastery of a hero’s abilities is the key to dominating fights and winning matches. Last, ultimate abilities are powerful moves that can completely change the course of battle when used properly. Unlike basic abilities, these remain locked until the hero reaches level 4. Players who master the use of their ultimate can be a terrifying force on the battlefield. Heroes come in a variety of flavors but are generally sorted into six roles. Tank – The front lines, the first defense, and the wall between your fragile, or “squishy,” allies and the enemy team, tanks are defensive powerhouses. These are more than just damage sponges, however, as most tanks also act as your team’s initiator. An initiator is the hero that starts team fights. They are the angry Scotsman shouting for freedom as their bloodthirsty clansmen charge behind them. To assist them both in initiating and staying relevant on the battlefield afterward, tanks generally have an arsenal of control abilities at their disposal to hinder their enemies’ movement and escape. Warrior – These are your typical melee heroes, generally able to take a bit of damage as they rush into the fray. Most warriors strive to find a happy ground somewhere between damage and survivability. As a result, this type of hero can generally be built in ways that let them fill many different roles on the team when required. Assassin – Masters of the hit and run, assassins excel at jumping enemies, bursting away their health, and then running away before the enemy can properly react. Many assassins are well suited to the jungle, as their play style is naturally suited to ambushing, or ‘ganking,’ enemy lanes. This damage comes at a price, however, because assassins are usually very weak when it comes to defenses. Mage – Spellcasters and mystics, mages generally rely on their abilities over normal attacks for their damage. Mages can either deal large amounts of damage at a range or continually harass foes with their spells. The magic damage they provide is a good way to mix up the team’s damage and prevent enemies from shutting down your team’s damage with armor. Marksman – Marksmen are generally the primary damage dealers on their team. They are able to slay enemy after enemy from a distance, dealing out heavy abuse with their normal attacks. Marksmen require some time to build items before they can fully contribute to their team, so players will need to be proficient at gathering gold quickly to be effective. Support – Support heroes often are the unsung heroes of their team and thereby can be unpopular. That said, supports can be a huge part of their team and be the deciding factor in many team fights. These heroes focus on controlling enemies with crowd control or healing and protecting their allies rather than dealing damage. As such, players should stick close to their team throughout the match. 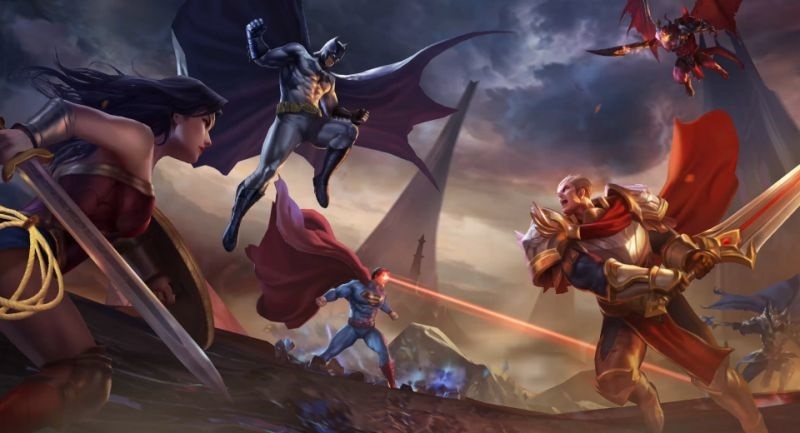 The most popular game type in Arena of Valor is a five on five team battle. 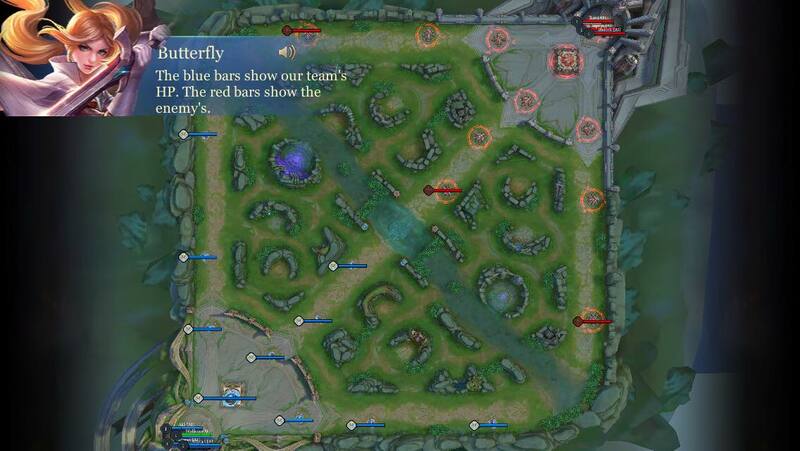 Each team starts in a corner of the map, which is made of three paths, or ‘lanes’. Two lanes encircle the field along the edges of the map, a third cutting through the center. A long stream called “the River” divides all of this in half. The map is dotted with large areas of tall grass, or “brush”, where heroes can hide. Large areas on the bottom left and top right corners of the map act as the two teams’ bases. This is both where heroes respawn after dying in battle and where the ‘Core’ is located. Whichever team can destroy their opponents’ core wins the match. Reaching the enemy’s core is not simple, a number of obstacles needing to be dealt with before players can reach their final objective. Six towers sit in each lane, both teams owning three each. Players have to destroy all of the towers in one of the lanes before they can attack the enemy core. To assist with this, both bases send out regular waves of AI-controlled ‘minions’ to march down the lanes and attack any enemies they come across. These can make sieging towers much easier by absorbing the tower’s fire and whittling away its defenses, provided the player deals with the enemy minions first. In between the lanes is the “jungle,” large areas full of neutral creatures, or monsters, that give health boosts or special bonuses upon being slain. These creatures are a valuable source of gold and experience, but that will be discussed further later. A team’s goal is to cut their way down a lane and destroy the enemy’s core while defending their own. The game gets interesting and gains its replayability in how teams made up of different heroes interact with one another. Rather than remain static, heroes increase in power throughout the match. Players grow by gathering experience points and gold. Every time that a hero, minion, or monster dies, nearby heroes gain both experience and gold. Should they deal the killing blow, heroes gain bonus experience and gold. Doing so is referred to as ‘last hitting’ and is key to gaining an advantage over opponents. The experience that players earn translates into levels. 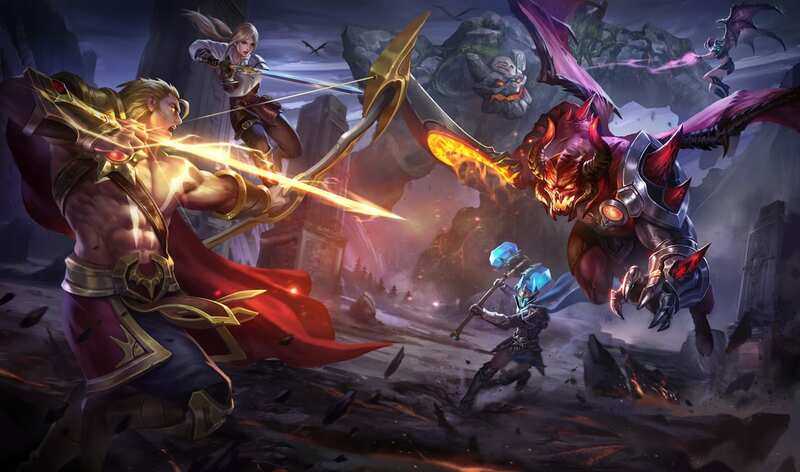 In Arena of Valor, players can raise up to a maximum of level 15. Each level provides a boost to the hero’s stats as well as a point with which they can raise an ability’s rank. Comparing your level to your enemy’s can be a quick way to judge how well you will do in a fight with them. Players use gold to purchase items throughout the game. Items are the main way that heroes are able to enhance the power of their attacks and abilities. They can provide large bonuses to damage, defense, or different effects to assist them in different ways. As a result, gold translates almost directly into power, so getting as much as possible is the best way to dominate your opponents. 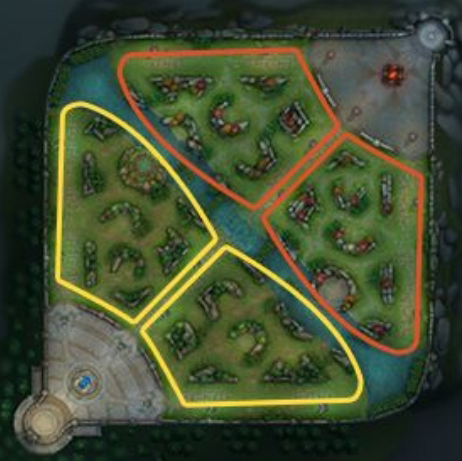 In order to defend all of the lanes, players need to split up between them. Different heroes suit different lanes depending on their strengths and playstyle. 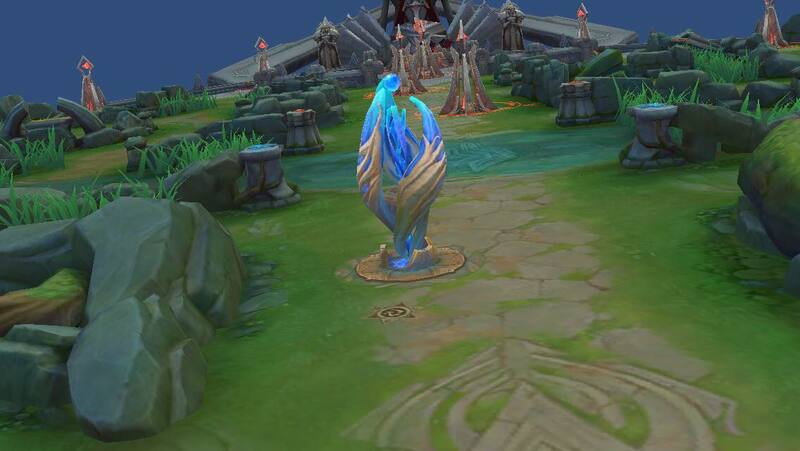 Abyssal Dragon Lane – This is also referred to as the bottom or ‘bot’ lane due to its location in custom or AI opponent matches. The Abyssal lane is normally where a carry will farm up strength, either alone or with the assistance of a supporting ally. Players in this lane will need to help take down the Abyssal Dragon (or Enraged Abyssal Dragon when allowed to evolve) when needed, but more on that later. Middle Lane – The shortest of the three lanes and most dangerous to defend, the middle lane cuts through the center of the map. Despite the associated danger, heroes will generally come to this lane alone to quickly gain experience without sharing. Heroes that are able to attack from a range and quickly clear minion waves are best suited to this lane. The ability to clear waves quickly allows the hero to gank the side lanes between waves. Able to quickly travel to either side, heroes in the middle lane can help push their entire team forward. Dark Slayer Lane – Occasionally called the top lane due to its location in computer matches and similar lanes in other MOBAs, the Dark Slayer lane is the lane closest to the titular beast. This lane is a mirror image of the Abyssal Dragon lane in terms of layout. Heroes who can take some punishment or sustain themselves for long periods do well in this lane. This need comes from the Dark Slayer lane typically receiving the least amount of support from allies. Less obvious than the lanes, players can also start the game by fighting neutral monsters in the space between the lanes. A number of creatures reside here, both teams able to slay all inside. Players who focus on killing these creatures early game are known as “junglers.” By killing the monsters here, players can get experience at a faster rate than they otherwise would in the lane. In addition, there are a number of special effects, or “buffs” players can earn through the slaying of special creatures. As junglers will typically use absence from the lanes as a tool for ganking enemy heroes, champions who are able to quickly close distance on enemies or can easily prevent an enemy’s escape are best suited to the position. The Abyssal Dragon – A large dragon that resides alone on one side of the river, the Abyssal Dragon is an important objective in Arena of Valor. The dragon’s death rewards the killing team with a bounty of gold and experience. This bonus is the equivalent of two kills spread around the team, so should not be undervalued. However, when allowed to evolve, the Abyssal Dragon will transform into an Enraged Abyssal Dragon. Slaying this more powerful form of the beast grants each member of the team class-specific buffs that will give them clear advantages during team fights. Continually boosting your team with these bounties and buffs while denying them from your opponents keeps the balance of power in your favor. As such, players should pay special attention to the dragon’s status. Slay it whenever it is available to reap its benefits for your team. Spirit Sentinel – The Spirit Sentinel is a bat that sits opposite the Dark Slayer. Slaying this bat provides a buff that heals and speeds up the slayer as well as a small bounty of gold to their team. The Dark Slayer – The strongest of the neutral creatures, the Dark Slayer is a giant gorilla that dwells across from the Spirit Sentinel. Several heroes need to work together to take this creature down, it extremely strong both offensively and defensively. Defeating this creature provides the team with a important buffs like health and mana regenation, and mobility, making heroes much stronger in team fights. Arena of Valor games consist of phases, similar in ways to the periods or quarters of more traditional sports. Unlike those sports, however, these phases are loose in when they begin and are more dependent on what has happened so far in the match than on how much time has passed. 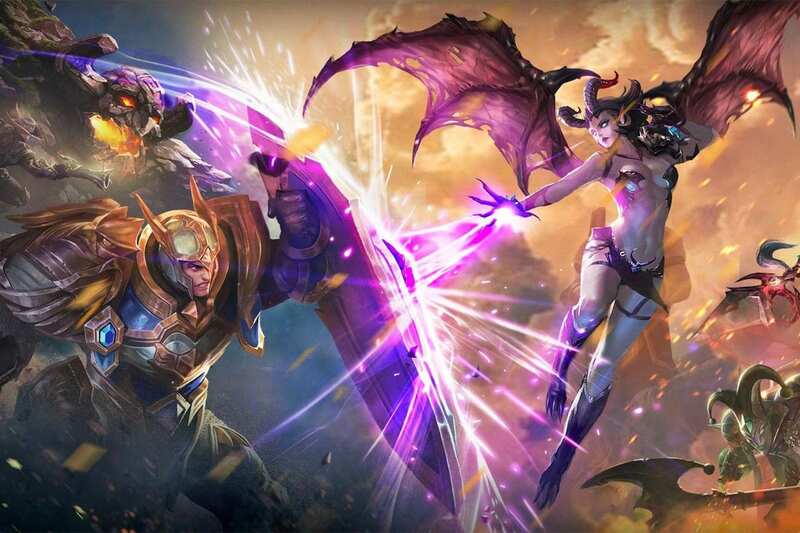 DON’T DIE.MOBA games like Arena of Valor heavily punish dying. First of all, your enemy receives a hefty bounty of gold and experience for killing you, catapulting forward in strength. In addition, the slain player spends time dead, removed from the battle. While dead, they will be unable to gain the precious resources they need to keep pace with enemies. Again, gold translates very directly into power in Arena of Valor, so allowing your opponents any sort of lead is the beginning of the end of any match. Play safely, avoid risky dives into enemy territory, and heal up when necessary; do whatever you have to do to just stay alive. The mid game starts after the first towers, or tier one towers, start to fall. Heroes will start wandering from their lane to assist others, meaning team fights will start to happen more regularly. Teams will need to start sticking together more often, as players out wandering alone are easy prey for coordinated groups of enemy players. Well coordinated or skilled teams have the ability to end things here, avoiding the next phase of play all together. Late game begins when players start completing their item builds. At this point, the game will consist almost entirely of team fights and preparation periods. As such, players should stick together as much as possible. By this time, heroes’ respawn times will have grown rather long. As a result, a single Ace can mean the end of the match. As heroes complete their item builds, their power levels plateau. The difference in power between teams will start to even out as all the heroes max out. Teams that have been holding out despite trailing behind their enemies have a shot at victory should they last this long.